You may or may not have gathered, but I am very much a routine kind of gal, who generally sticks to a well-considered plan and regardless of my life's predictable path, I tend to overthink everything. I don't easily try new things or step out of my comfort zone regularly, so I'm especially pleased to announce that I did something completely out of the ordinary this weekend. Yay me! (Save your applause). 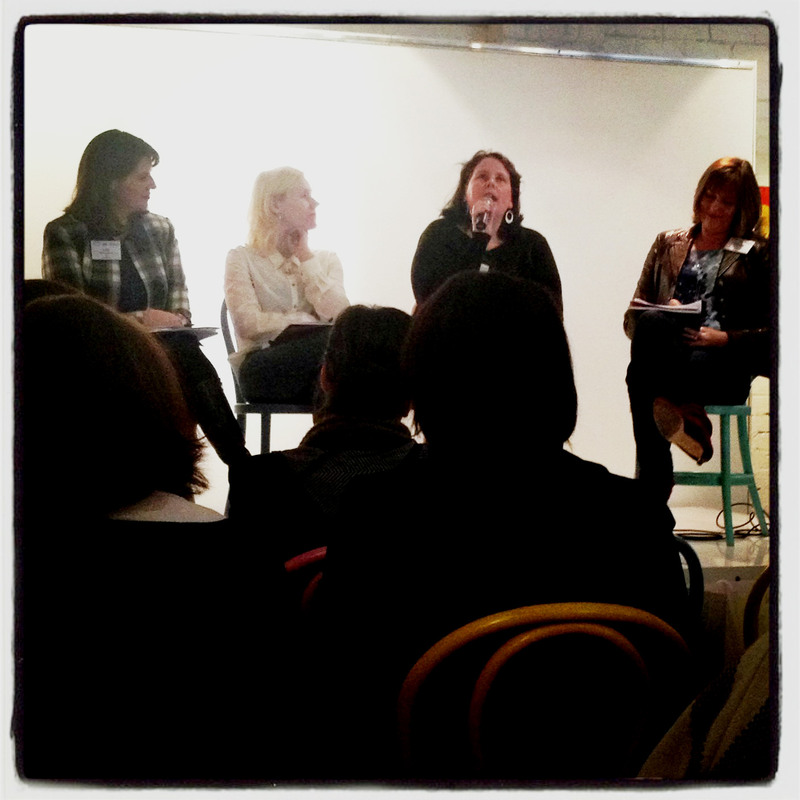 On Saturday, I attended the Voices Of 2013 Blogger's Masterclass in Melbourne. (Okay, it's not bungee jumping or sky-diving, but can we just celebrate small steps please?). Let it be said, that there's nothing more valuable than being surrounded and educated by like-minded people who are reaching (or have reached) their writing goals and who have great wisdom to share about how I can reach mine. 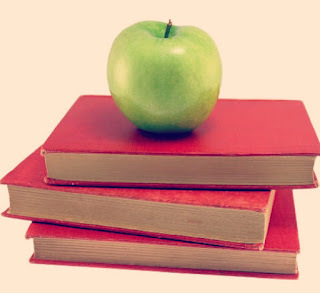 At the beginning of this year, I dusted off The Mother Load Blog and made a pact with myself. I decided that I wanted to write; I wanted to write for my own version of therapy and also to perhaps download and organise the craziness that short-circuits my brain on a regular basis. In doing this, I then decided I wanted to share it in the hope that people who read my posts might occasionally nod, throw their hands in the air and exclaim, "That's EXACTLY how I feel!" Having said that though, making the decision to share is really hard. I still don't feel at all comfortable with it (more because of the prospective readers who know me rather than those who don't) but it's part of my game plan so I've put that embarrassment aside for now and I've given myself two years to see where this writing business takes me. Be authentic - always write as your true self and in the same 'voice' you use in conversation. Your voice and your ability to have a meaningful unique conversation is often what people like about you and therefore your readers will probably engage with you in a similar way. Be good at self-editing. The famous expression "arrive late but leave early" rings true regarding finding your point, making it and moving on. (Not sure if that's something I'm good at yet but I will endeavour to heed this excellent advice). If you're in a writing rut, get offline for a while. Spend time doing things that make you feel happy and inspired in the 'real world'. See a movie, go to the beach, take in a gallery - it will help you to reset your creativity and ability to express yourself. Forget the critics. You will always have them regardless of what you do, so either don't read them or respond appropriately. Learn not to listen to them because you shouldn't be writing to suit the opinions of other people. Theodore Roosevelt once said, "Comparison is the thief of joy". Embrace other writers - don't see the online community as your competition. Invite guest posting, share each other's good work and use your blog to promote others and they may provide you with the same opportunity. So as the inspired audience listened, snapped photos, shared the wisdom on social media, and quietly developed natty graphics and opening lines for their next blog post, I sat feeling incredibly glad that I'd pushed myself to attend and that I would be walking away a little more blog-savvy. More importantly though, I learned that the goals of ordinary people can actually be reached often beyond their own level of expectation and perhaps my goal is progressing exactly as it should be. Thanks, Mez! Still on a bloggy high! Wasn't it Brilliant? Great also to make contact with new people and realise how valuable we are to each other as writers. Cheers, S.
I'm still on a bloggy high too. I just wish that my busy life and full time job weren't getting in the way! Attending this forum was the best thing I've ever done and I was so inspired by the women there and I wish I had a chance to meet everyone properly! I think it's going to change how I blog from now on. Looking forward to keeping in touch with everyone! Agree on all fronts, Angie! I thought the Masterclass content was going to be the most valuable thing I took away with me on the day but it seems that connecting with other inspiring bloggers in the aftermath has been just as great. Well done for pushing yourself out of your comfort zone. I love being around other bloggers and try to attend as many things as I can, if only to catch up with old friends. Thanks Dorothy - I suppose you only need to 'push' yourself the first time then any other times become just something you really look forward to! That being said, I can't wait for more opportunities, given what I gained from this one. Lovely of you to comment, Pip. Made me realise many positive things about my own writing goals - thank you for all that you shared on the day. Here's to the next one! Can't believe you were there and I didn't say hi. I also didn't see another blogger I was hoping to meet one day. Blog conferences can be a little overwhelming for me. When I am more organised I have a list that I write out before I go...this one got me by surprise, so much wonderful in the one room. It was a great event with fabulous weather too. There were so many people that I wanted to meet but ended up missing the opportunity. I am keeping my eyes (and ears) peeled for the next one! Me too Cassie! Definitely keen to attend more of these if they come up. Hope to meet you at the next one. It doesn't matter how many blog events I've been to I still get overwhelmed every single time. Saturday was fabulous but I do wish there was a little more socialising time afterwards. It seem to dispurse pretty quickly after the event. Good thing about a bloggy do is there will always be next time. Very true, Mandy. I'm definitely hoping to attend more of these inspiring events and I plan to make a greater effort to meet more people at the next one!